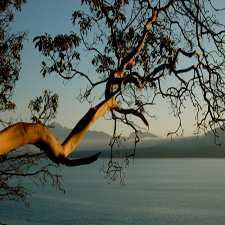 Americans refer to it as the Pacific madrone tree or madrona tree. It is known in Canada as the Arbutus tree. European species are called the strawberry tree. Regardless of the moniker, wood lovers call it beautiful. The Pacific madrone is named from the Spanish word meaning “strawberry”: madroño. Regardless of its name, here at Wagner Meters, it’s a neighbor of ours and one well valued for the unique qualities it possesses. It grows from northern California to southern British Columbia (Canada) in clearings or on rocky bluffs. The Arbutus tree, as Canadians call it, loves the sun but does not like shade. Generally, it can be found in clearings with rapidly-drained soils. Americans recognize the Pacific madrone for its windy, irregular shapes (multiple trunks at times) and spectacular bark. This broadleaf evergreen is a happy member of redwood and coastal evergreen stands which sprout from the thin mineral soil. This hardwood tree competes with growing fir trees for space. Unlike its competitor, the Arbutus menziesii twists and turns its trunk and irregular limbs to make room. It exudes a strong honey smell that attracts bees and fruit-eating birds, such as waxwings and robins. Wood floor lovers crave the spectral bark hues of this tree. 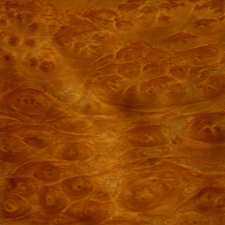 Its rich orange-red outer bark peels in large, thin sheets to reveal a smooth, satin sheen, polished greenish, silvery color. However, young Pacific madrone trees don younger stems which may range from green to chartreuse. Wood flooring professionals consider the Arbutus menziesii to be a specialty hardwood. Pacific madrone trees make for amazing floors because of its special color and eye striking burl. It has a look that is incomparable and is prized for its tremendous range of colors, which reads overall as a mocha brown but with some burgundy reds, salmon pinks, and warm cream colors. Both the select grade and the character grade of flooring has a stunning variety of colors. Imagine the spectrum of grains and patterns in the same floorboard. Also, madrone hardwood flooring is really hard with a very smooth grain that polishes to a fine finish. It is a very beautiful wood with its rich mocha brown and a pinkish color tone, and as it ages the wood slowly darkens with time. That can be a drawback depending on individual flooring tastes. However, it’s safe to say the Pacific madrone tree presents several aesthetic and performance options for unique hardwood flooring. Pacific madrone trees are prone to warping and checking as they dry. Also, the crooked shapes that define the species can make it difficult to obtain long timbers from which to construct madrone wood flooring. Therefore, the limited supply of prime madrone for flooring can be very expensive. However, hobbyists can find a lot more small pieces by which they can craft picture frames, bowls, furniture, and cabinetry. It can also be made into secondary manufacturing products like paneling and veneer. Since the drying process often produces warping and checking, the lumber is usually steamed for 6-8 hours and then cooled rapidly before the drying process starts. Steaming the wood diminishes the possibility of cellular collapse occurring in the middle of the boards and it also proved for a more consistent color throughout the wood. It is critically important to monitor madrone’s moisture content (MC). Although these changes in MC may narrow its applications, Arbutus menziesii performs well once properly dried as the wood accepts stains and displays an exceptional finish. Madrone has a fine texture, is moderately dense, and has an average reported specific gravity (SG) of .58. 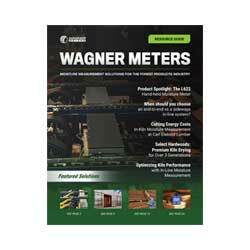 Moisture meters, like the Orion® product line from Wagner Meters, make business sense to the professionals and hobbyists who work the exotic Pacific madrone wood into flooring, furniture, cabinetry, and other wood products. With SG settings for madrone, accurate MC readings will provide key insights into the end products performance. When properly dried to the correct MC, Pacific madrone wood offers unparalleled options to flooring professionals and hobbyists alike.